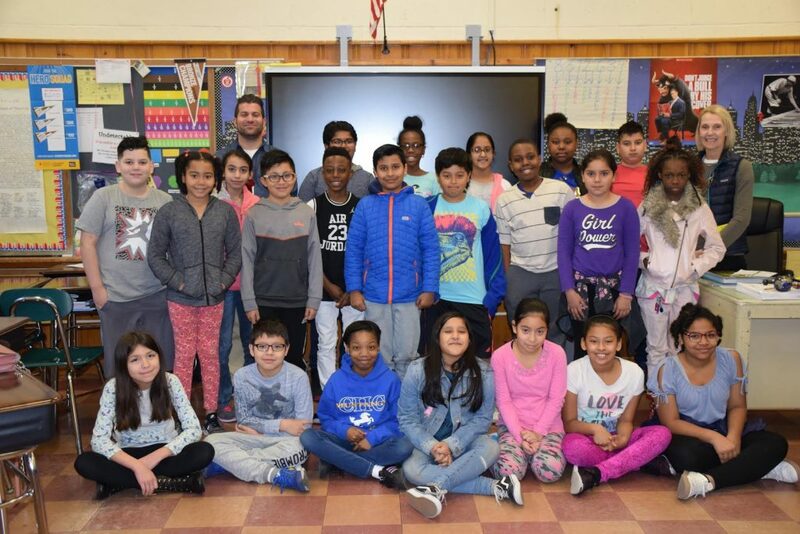 Students at Clara H. Carlson School participated in a workshop on cyberbullying as part of Child Abuse Prevention Services’ cyberSmartz program. CAPS representative Sari Kaplan Mittler spoke to students about empathy, and the difference between being an upstander and a bystander. She encouraged students to think about the things they see online and in person and to ask themselves, “Would this be okay if it was happening to me?” Students discussed the importance of not sharing hurtful information. Ms. Kaplan Mittler also gave students tips on social media use and told them to “THINK” – Is it True, Helpful, Inspiring, Necessary or Kind – before posting. 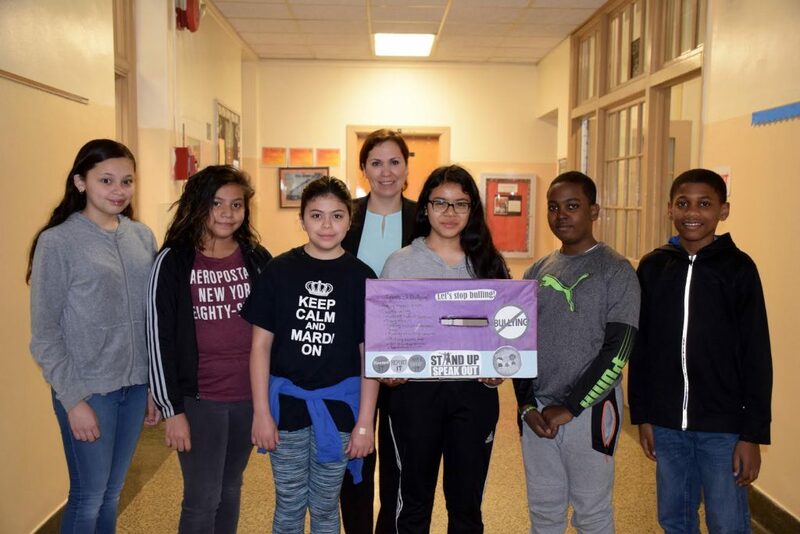 School social worker Karina Bruno indicated that students would be taking part in several antibullying workshops throughout the school year. Members of the school’s sixth-grade Kindness Club created boxes where students can report a bullying incident. Those boxes have been strategically placed throughout the building. In addition, students were encouraged to discuss any issues with their parents, teachers and other adults available to them. Clara H. Carlson School fifth-graders in Chris Tricarico’s (back row, left) class are pictured with CAPS representative Sari Kaplan Mittler. Clara H. Carlson School Social Worker Karina Bruno is pictured with members of the sixth-grade Kindness Club.